This week's release of the Texas Small Land Sales Report by the Texas Association of REALTORS® shows a 14.2% increase in volume for 2016 while the average price per acre declined 0.3% year-over-year. Statewide, 6,992 small land tracts were sold in 2016, with the Austin-Waco-Hill Country, Northeast Texas, and Far West Texas regions all registering sales volume gains of more than 20%. Only the West Texas region saw its sales fall year-over-year, with a 20.6% decline. The statewide average tract size fell to 36 acres, three acres less than in 2015. Even as the statewide average price per acre dropped slightly to $5,647, only two regions marked an individual decline in average price per acre. Far West Texas saw a 64.9% decrease in average price per acre, but the region represents less than a percent of small land sales in Texas. The average price per acre in South Texas fell by 3.9%. Home inspectors are quite thorough. Before you buy a house, they'll scrutinize things you never thought to look at in your many walk-throughs, from cracks in stucco to how well the toilet flushes. In fact, their checklists include over 1,600 features, all with the goal of helping you decide whether the home is in good enough shape for you to close this deal—or whether you should back out while you can. Given that a basic home inspection costs $300 to $500 but could save you thousands in repairs, that's a sweet deal! And yet, home inspectors don't check everything. Here's what home inspectors conducting a basic search aren't eyeballing, and what you can do if you want to make sure your prospective new home checks out on all counts. For one, basic home inspections evaluate only the stuff these professionals can see or access easily. That means if furniture is blocking certain areas, your home inspector isn't about to throw out his back to lug it aside. Home inspectors will gamely climb onto your roof and check for missing or warped shingles and make sure flashing and gutters are in good shape. There's one huge caveat: Your roof should be less than three stories tall and not too steep. If it is, they'll probably pass. After all, if they fall, it's a long way down! It's reasonable to worry about the roof, which is a big-ticket item. You can hire a specialized roof inspector for $500 to $750 to examine roofs that a regular inspector will avoid. Some, hoping to get business if they turn up issues, will even inspect it for free; others charge according to location, roof height, and material. If they can’t climb onto roofs, they can perform an infrared inspection that assesses temperature differences along your roof to determine where heat is escaping. Home inspectors will typically open and shut dampers to make sure they’re working, and shine a flashlight up the chimney to check for big obstructions like a bird nest. But that's typically where their inspection ends. While home inspectors will thoroughly check the home, the ground beneath it might go largely ignored. So if you're worried about the land's structural integrity—or whether it shifts, tilts, or has sinkholes or a high water table—you'll need to hire a geotechnical or structural engineer. These professionals test the soil for an array of problems, but it'll cost you: Basic testing costs $300 to $1,000, and drilling a bore hole for deeper investigations can cost $3,000 to $5,000. That’s a lot to pay for a hunch, so if money is tight, go to PlotScan, a free site that will tell you the history of sinkholes and other natural catastrophes in the vicinity of your home—and help you assess whether more research should be done. Basic home inspectors will turn on pool pumps and heaters to make sure they’re working. But inspectors won’t routinely evaluate cracks or dents in the pool. For that, you'll need a professional pool inspector, who will run pressure tests for plumbing leaks. He'll also scrutinize pumps, filters, decking surfaces, and safety covers. The cost will hover around $250 or could be free if you end up hiring the pool company for regular maintenance. 1. Draw eyes to a room's best attribute, whether that's a beautiful fireplace or a window with a great view, by strategically placing a decorative accent like a vase or large plant nearby. 2. Clean out and organize closets, cabinets, and pantries, leaving more space than you normally might. This can give potential buyers the impression that your home has storage to spare. 3. Remove rugs to give the appearance of unbroken floor space and make the room seem larger. 4. Add fluffy white towels to your bathrooms. The neutral hue implies cleanliness and can give the room a spa-like feel. Add hand towels in color for an extra accent. 5. Turn on interior lights during an open house, even if it's daytime. If your home is outfitted with compact fluorescent bulbs, be sure they have enough time to warm up to full capacity before the event begins. 6. Widen the walking area around major pieces of furniture, such as beds and sofas. A few extra inches can make all the difference. 7. Not all rooms need to be furnished. Leave a room unfurnished for buyers to imagine how they could use your space. 8. Remember, buying a home is an emotional event. If the buyers leave your home with a good feeling of being able to see themselves living a happy life in your home, it will go a long way to nudging them to make an offer! If you think vinyl flooring is a thing of the past, think again. Yes, vVinyl can get a bad rap. Often it’s confused with linoleum and conjures up memories of outdated, cheap 1980s flooring rolled out in sheets. But lately, vinyl is showing itself as anything but “cheap” looking. It can be laid out in planks, tiles, and sheets and it’s getting some trendy looks. The vinyl flooring industry is booming as new designs resemble the look of real hardwoods but without the high maintenance. Vinyl is known for being scratch-proof and even waterproof, which is making them especially appealing in the kitchen and bathroom. Plus, vinyl is known for being more pet-friendly and that’s increasingly important nowadays. (Consider, 61 percent of households own a pet or plan to soon, according to an NAR pet study. As such, pet-friendly flooring is proving to be a growing motivator in home remodeling decisions). 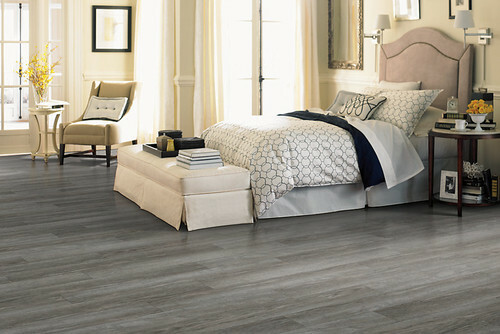 Vinyl flooring options are now available in styles that mimic current wood styles, in everything from oak, pine, and walnut to even hand-scraped options. Low mortgage rates and strong job growth are giving the housing market one of its best years in decades—even as overall economic growth has weakened—according to Freddie Mac’s monthly Outlook report for May. The report’s optimism is a change from the mortgage giant’s previous predictions when economists said the housing market likely would not perform as well as it did in 2016. Also, unemployment in the U.S. is at 4.4 percent, the lowest rate since 2001. Mortgage originations in the first quarter of this year totaled about $60 billion more than expected, mostly due to an uptick in refinances, according to Freddie. Mortgage originations in 2017 are expected to rise to more than $200 billion. In the first quarter of this year, 49 percent of refinancing borrowers took cash out. That also marks the highest share since the fourth quarter of 2008 but remains far below the peak of 89 percent in the third quarter of 2006. 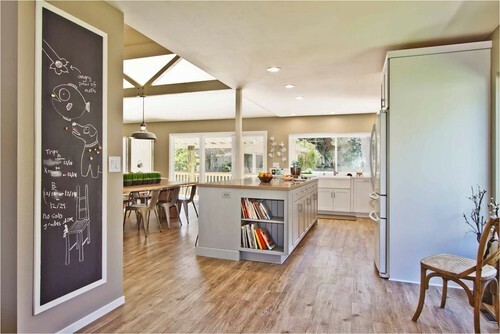 Kitchen revamps tend to be one of the most popular home remodeling projects. About 10.2 million American households tackled a kitchen remodel or replacement work in 2015, according to a recent report from the National Kitchen & Bath Association. 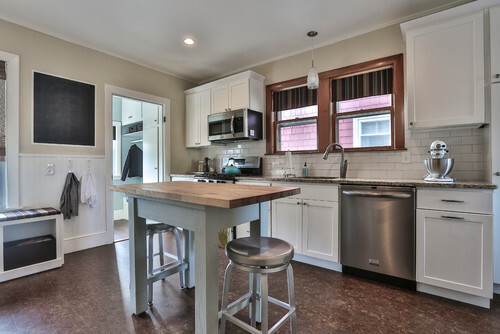 Homeowners tend to want new flooring, countertops, cabinets, sinks, and faucets in their kitchen remodel. Also, "more homeowners are incorporating smart technology using the Amazon Echo or Google Home to connect to their appliances for cost savings, energy efficiency, and convenience," says Elle H-Millard, who specializes in kitchen and bathroom trends at the NKBA. The majority of homeowners aren't spending big bucks on their renovations. Forty-one percent of homeowners’ work in their kitchen remodels was devoted to replacement projects costing less than $1,500. Twenty-two percent of respondents say they had minor remodeling done, between $1,500 to $5,000; 18 percent of homeowners had major remodels completed that cost between $5,000 to $10,000; and 19 percent completely remodeled their kitchens, spending more than $10,000. Nearly 80 percent of homeowners who underwent a complete kitchen renovation spent on new appliances, according to the NKBA. Refrigerators were the top appliance replaced, followed by range ovens and dishwashers. As for countertops, homeowners still largely prefer granite, followed by laminate at 23 percent and marble at 19 percent. Homeowners still say they like wood flooring best too, but they weren't as likely to splurge on real hardwood flooring for their kitchen renovations, according to the NKBA’s survey. Laminate flooring was the most popular material in the kitchen at 32 percent, with ceramic and stone tiles following closely at 31 percent; both are often designed to mimic wood. Actual wood, meanwhile, was chosen by 18 percent of survey respondents. "Wood has that timeless feel," says H-Millard. 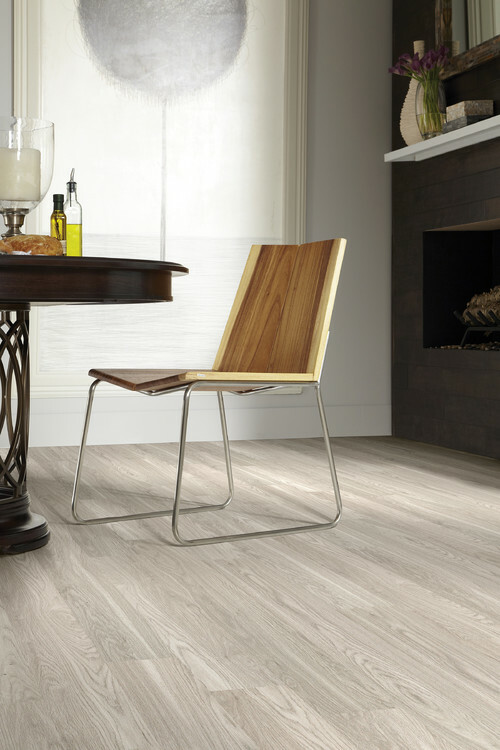 But "porcelain tile would be much more durable than wood, [and] laminate would be much more cost-effective." Sinks were another popular area of kitchen renovations. Stainless steel is the most popular option at 72 percent, but 9 percent of homeowners opt for enameled cast-iron sinks. Most mortgage lenders require borrowers to purchase home insurance, but many buyers may be confused about what their policy covers. Realtor.com® recently highlighted several common myths consumers believe when it comes to home insurance. Myth number one: All of a home's belongings are covered. 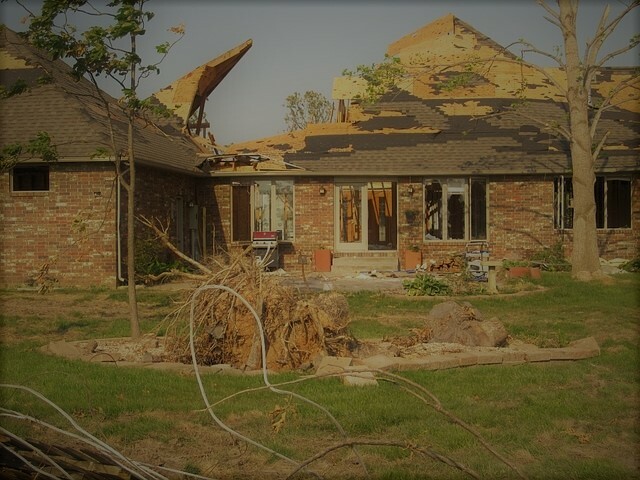 "A homeowners insurance policy is not designed to cover everything," says Jeanne Salvatore, chief communications officer at the Insurance Information Institute. "Each policy clearly states what's covered and what's not." Personal valuables, for example, aren't typically covered by a basic policy. "If you have valuable art or fine jewelry inside your house, you might need a scheduled personal property policy to cover these items," says Laurie Pellouchoud, vice president at Allstate. Myth number two: Coverage should be based on the market value of a home. Fifty-two percent of buyers believe they should purchase insurance coverage based on their home's market value, according to a survey by Insure.com. However, with most insurance policies, rates are based on the cost to rebuild the home, not the value of the property. "In most cases, you need less coverage than the market value of your house," Salvatore says. Myth number three: Flood coverage is included in most standard policies. Flood coverage typically is not included in standard insurance policies. Homeowners who live in an area that is prone to flooding likely will be required to purchase a separate policy to protect themselves. Separate flood insurance is available from the National Flood Insurance Program and some private insurers. Even homeowners who live outside a flood zone may be wise to consider buying the extra protection against floods, experts say. THINKING OF BUYING A HOME OR LAND? Click on the link below where you can search for a home or land at any time.